Santa Monica, California (March 5, 2019) – Atom Tickets, the first-of-its-kind social movie ticketing app, launched a new service aimed at North American film festivals featuring a reserved ticketing experience powered by Atom’s convenient digital ticketing capabilities to reserve seats in advance at designated host venues. 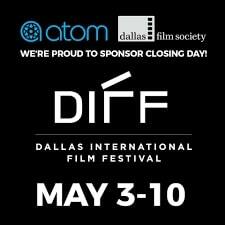 The first partner to use the new service is The Dallas International Film Festival (DIFF), running April 11-18. It will simplify the ticketing process for the 100,000 people who are expected to attend DIFF’s screenings, outdoor concerts and festival-related activities. “Festivals are an important part of the movie ecosystem and they offer audiences the opportunity to see movies where they are best experienced – in the theater. We are proud to be able to include film festivals into our family of exhibition partners and thrilled to debut our new service with the Dallas International Film Festival,” said Steve Joudi, Head of Exhibitor Relations and Operations, Atom Tickets. Atom Tickets digital ticketing service for festivals can be integrated into any film festival’s existing audience booking platform. Film Festival passholders will be directed to Atom (app or web) to reserve their movie tickets after purchasing a pass on the DIFF website. When they access Atom they’ll be prompted to login and input their passholder number. Once their information is entered, passholders can simply reserve a seat (either in VIP or standard seating area depending on their pass level). At checkout, guests will bypass the required payment option to receive a confirmation QR code to be used at the venue upon arrival. Festival goers without a pass can purchase individual movie tickets on Atom and pay for the ticket using Atom’s standard checkout process before receiving the confirmation QR code – similar to a regular movie ticket purchase. At the DIFF theater locations, both passholders and non-passholders can skip the box office lines and go directly to the ticket attendants where they scan a QR code on their phone to redeem their order. Dallas Film (www.dallasfilm.org), established as Dallas Film Society in 2006, is a 501(c)(3) nonprofit organization that exists to celebrate the past, present and future of film in our community. The organization provides leadership in screen education and the recognition and celebration of excellence in the art of film, television, and digital media. Through a variety of screenings, educational programs, and festivals, Dallas Film raises awareness of the world’s most approachable and inclusive art form. Atom Tickets is the award-winning social movie ticketing app. The Santa Monica-based company was named among the 2019 Top Places to Work in LA by BuiltInLA and is backed by Lionsgate, Disney, Twentieth Century Fox Film, and Fidelity Management & Research Company. Atom Tickets allows consumers to search for films instantly, invite friends, buy tickets, pre-order concessions and more. Enabled on over 21,000 screens across the U.S., the platform’s innovative marketing capabilities help studios, exhibitors and brands maximize revenue opportunities. The company’s advisory board includes Steven Spielberg, J.J. Abrams, Tyler Perry, Dwayne Johnson and Dany Garciawho serve as resources to Atom in developing the most innovative and convenient theatrical movie experiences for consumers.